Next in the series is Bethany Hegedus. 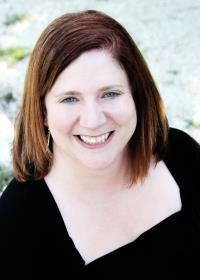 BETHANY HEGEDUS’ books include Truth with a Capital T (Random House) and Between Us Baxters (WestSide Books). Both novels were named to the Bank Street Books Best Books, with Between Us Baxters garnering a star for outstanding recognition. Her debut picture book, Grandfather Gandhi, (Atheneum/Simon & Schuster) co-authored with Arun Gandhi, grandson of the Mahatma, and illustrated by Evan Turk has received starred reviews from Publisher’s Weekly and Kirkus. Grandfather Gandhi has been named to the Texas Bluebonnet Master List for 2014-2015. I once was an educator, teaching high school English and theatre, before moving to NYC to become an actor. Once there, I burrowed into books and signed up for a writing class. The class I chose was on writing a children’s book. My love of language, story, and character, and kids all came together and I kicked my acting dream to the curb—realizing it was just to get me to my true calling: children’s book writer. Going to schools and speaking to kids—never fails to remind me WHY I am doing this in the first place. And when teaching other adults in writing classes or privately, when an author’s true voice emerges. Man, I get goosebumps. Trying to enforce a schedule on myself. Being your own boss is a godsend but it’s also hard when your “employee” won’t listen to you. Ha. When out on submission, write the next book. This, I think, is part of the wisdom Tim Wynne-Jones shared with me that any time worrying about the market is wasted time. I do think we need to understand the market, and what’s getting published, but not cater to it, or worry about where our work will fit in. It’s our job to write the work, to stay true to ourselves. Come see Bethany at the 2015 Austin SCBWI conference, March 7-8.